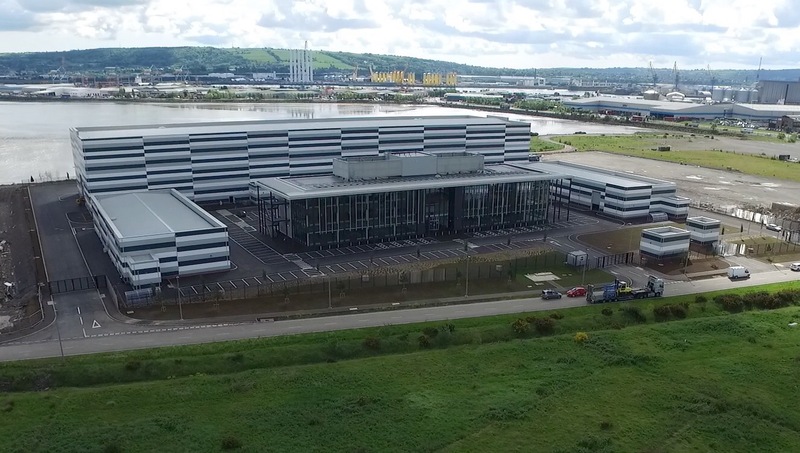 The first production to be housed in the new Belfast Harbour Studios has been announced. The Superman prequel series, KRYPTON, a one-hour series from Phantom Four in association with Warner Horizon Scripted Television for the SYFY channel, will commence pre-production in Belfast this month with a shoot date of late summer. Set two generations before the destruction of the legendary Man of Steel’s home planet, KRYPTON follows Superman’s grandfather (Cameron Cuffe, The Halcyon) — whose House of El was ostracized and shamed — as he fights to redeem his family’s honour and save his beloved world from chaos. Based on DC characters created by Jerry Siegel and Joe Shuster, KRYPTON is executive produced by David S. Goyer (Man of Steel; Batman v Superman: Dawn of Justice; The Dark Knight trilogy) through his Phantom Four banner. Damian Kindler (Sleepy Hollow) will also serve as executive producer and showrunner. In addition to Cuffe, the show also stars Georgina Campbell (Broadchurch), Elliot Cowan (Da Vinci’s Demons), Ann Ogbomo (World War Z), Rasmus Hardiker (Your Highness), Wallis Day (Will), Aaron Pierre (Tennison) with Ian McElhinney (Game of Thrones). It was just over a year ago that plans for the new purpose built studios were unveiled to the global screen industry at Cannes. The £20 million development owned by Belfast Harbour is set on an 8 acre site on the 340 acre Giant’s Park. The complex consists of two film studios, workshops which will be used for set construction and separate production offices to accommodate art departments, dressing rooms and wardrobe functions. Given the strong demand for such high quality space the scheme has also been future-proofed to accommodate additional studio and workshop space on an adjoining two-acre site. The completion of the media complex cements Northern Ireland’s position as the best catered for region in film production after London.